I love sharing ideas, products, and recipes with you that I’m currently crushing on, so I thought it might be fun to write a regular “Things I Love Right Now” blog post. Maybe once a month. Maybe more. Who knows. I guess I’ll start with today’s and see how much you all care about the things I get super excited about and go from there ;-). Last week I was excited to see canned pumpkin hit my grocery store’s shelves and immediately picked up a few cans. I don’t understand all you crazy people who go nuts over the pumpkin spice latte. I don’t have aaaaany desire to drink my pumpkin. But put it in a baked good and baby I’m sold. 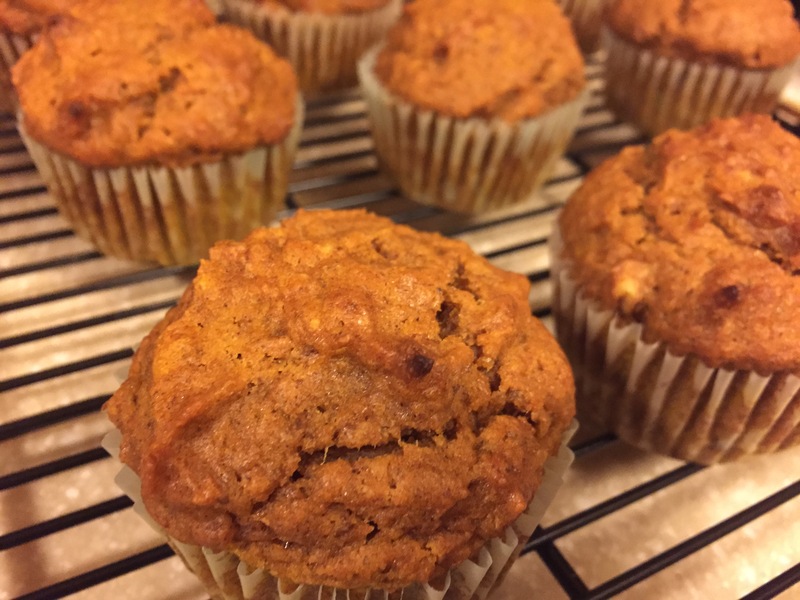 So, with that thought in mind, I made a new pumpkin muffin recipe this week and it was delicious. The recipe calls for coconut oil, my latest obsession. Yum! The only change I made was to scale back on the sugar a bit and to add chopped walnuts. You can find the recipe here. I’ve been a Norwex user for a few years now and I’m a huge fan of their cleaning products. I was, however, a little skeptical about their fruit and veggie wash. It just seemed like a hassle and I wasn’t sure how much I really needed it. But then, I was at my local distributor’s house for an open house and she demonstrated how to use the product. It didn’t seem that bad so I decided to go ahead and give it a try. 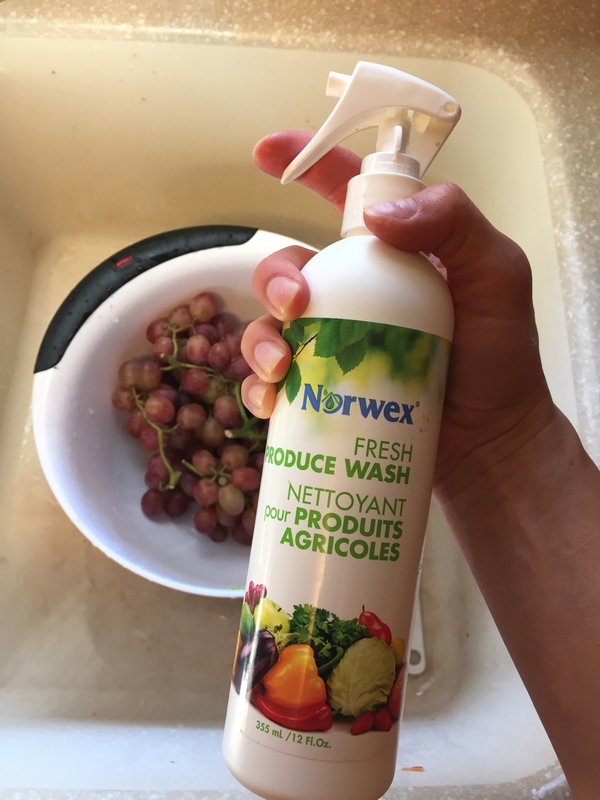 That week, when I returned home from grocery shopping, I immediately took out all my fruits and veggies from the packaging, washed them in the spray, and stored them in the refrigerator. I couldn’t get over how much I loved this product. 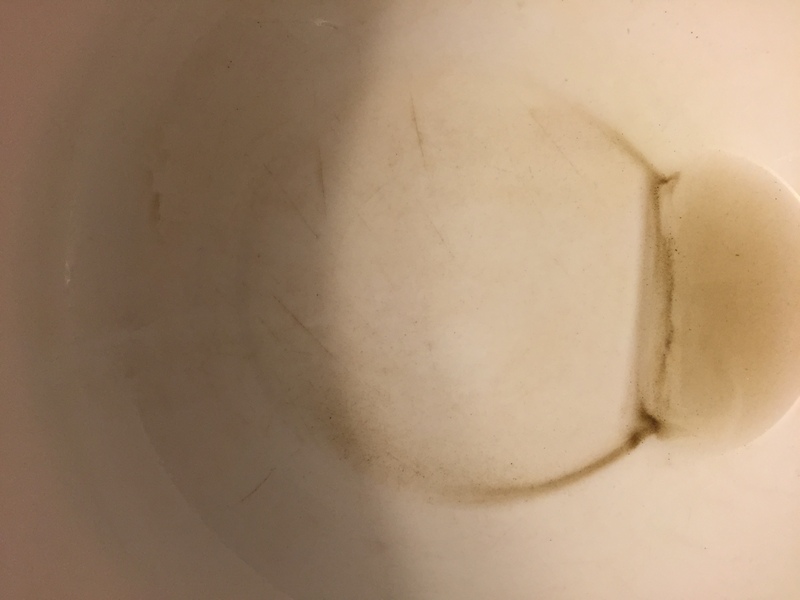 First of all, it was disgusting how much dirt and goodness knows what else was left in my bowl after washing everything. This isn’t the best quality photo, but you can see the dirt and grime that came off my grapes! Ewww! Secondly, the product doesn’t just clean, it also adds crispness. I was impressed how everything remained extra crisp all week. And thirdly, I appreciated how using the product immediately upon returning home from the store helped me get all my fruits and veggies washed and prepped for the week. Lettuce was already cleaned and cut making dinner salad prep a snap, and my grapes were ready to grab and go for lunches and snacks. I’m sold! 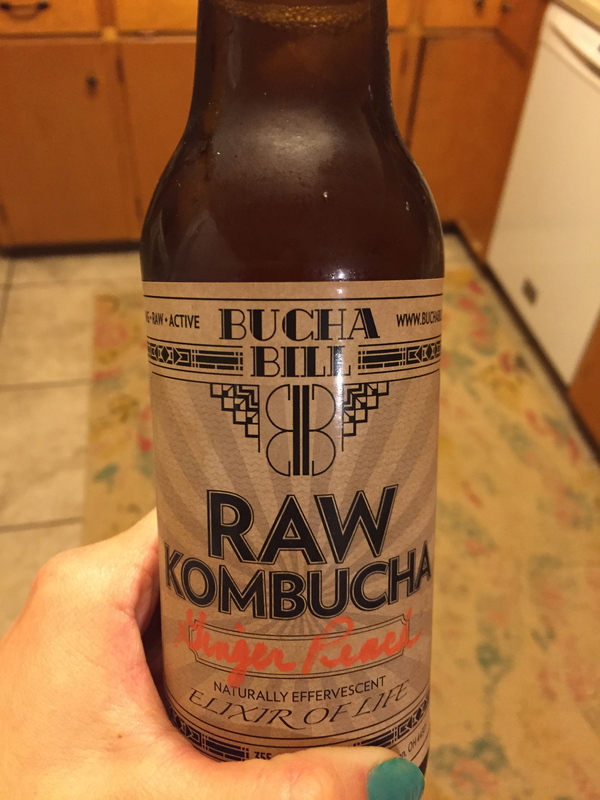 What is Kombucha, you say? Well, I don’t really know. All I can tell you is that it is basically a fermented tea and it makes my tummy feel great. I love all things bitter/sour/fermented. Sauerkraut? love it. Kimchi? Can’t get enough of it. Sour patch kids? YES PLEASE. Any time my stomach is upset or I feel like my digestive system needs a little help, Kombucha is sure to help! Plus it comes in yummy flavors like peach ginger. Also something I love. So, I’ve been carrying this baby way different then I carried my boys. For me, the old wives tale about carrying boys low and girls higher has proven true. I carried my boys so low that my belly wasn’t all cute and round, but instead looked like a ski slope with a big grand finale somewhere way below my waist. This time though, I’ve been carrying higher and the over all effect is a much rounder, cuter, baby bump. Yay! But with this change came a new problem. My old maternity jeans which have seen me through my last two pregnancies now hit me in a way that is uncomfortable. They don’t have the belly panel, just an elastic waist, and that has been digging into me in a super uncomfortable way. I was browsing H&M online recently and saw that I could get a pair of cute maternity jeans on sale for less than $15. It took me about 5 seconds to decided to order those suckers! They came, and fortunately I ordered several sizes because HELLO H&M runs small! I was going to go two sizes up (from my non-pregnant size) which is crazy because usually you order your maternity clothes in the same size you are pre-baby. I ended up going just one size up and after wearing them once I concluded I made the right decision. I think the issue here is that my “normal” size would even be too small, pre-baby. Does that makes sense? Anyways, I didn’t mean to spend a whole paragraph talking about sizing, but you know, I hope this helps some poor momma out there. It’s not you, honey. Their pants are just really, really small. So I also ordered this cute pink tee that you see in the above photo because it was pretty and $4 and YOLO. It’s not maternity, so my belly is really testing the thread work here, but oh well. I like it and it made me feel pretty. One thing I love so much about Instagram is the ability you have to find these little online communities of artists, writers, mommas, etc. This week I stumbled upon Deann Art, an artist based in Nashville. I love pretty things and her art is just the prettiest. Check her out on Instagram @deannart, or online at http://www.deanndesigns.com. 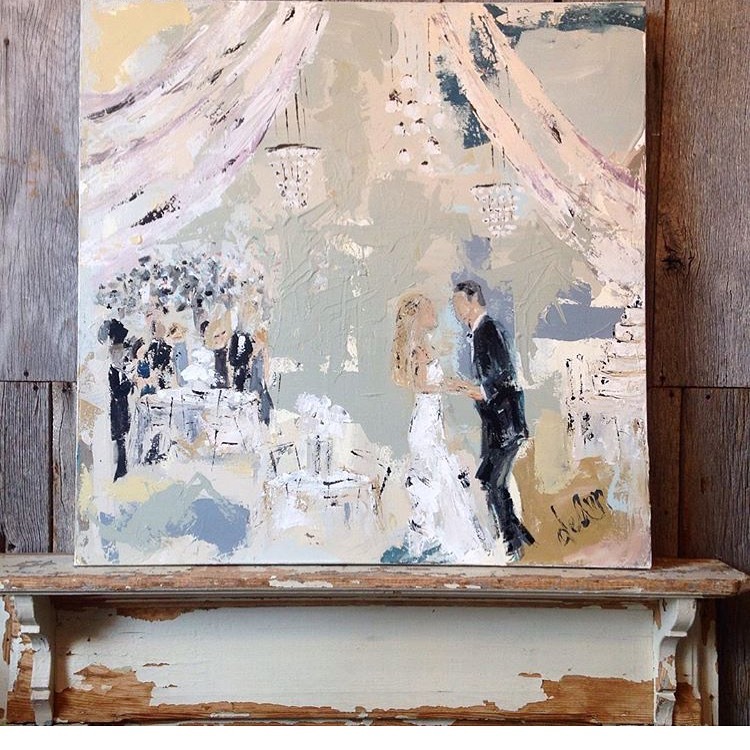 Oh, and I entered her giveaway to try and win this painting because I just think it is unbelieveably beautiful. Ohhh I hope I win!!! 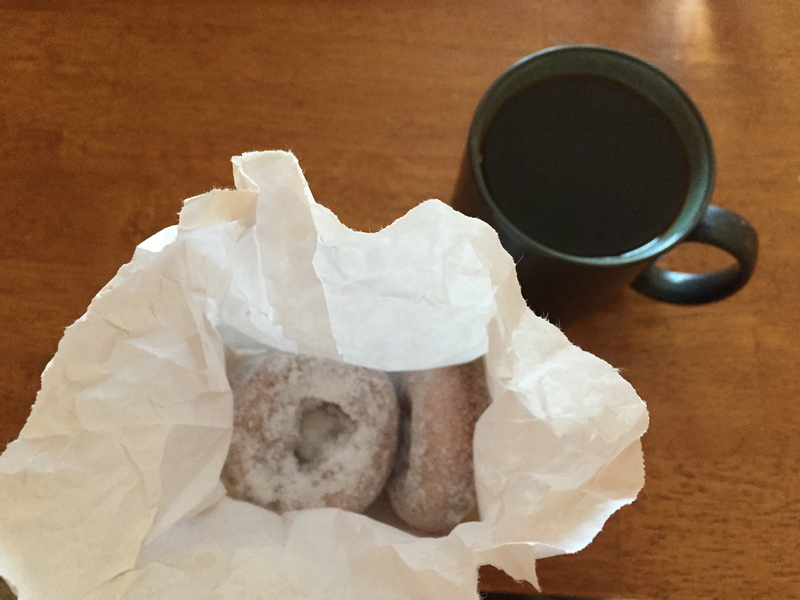 …next to a bag of doughnuts. Now, that, I love! I will be making pumpkin muffins AND pumpkin coffee cake reeeeeal soon. Yum! 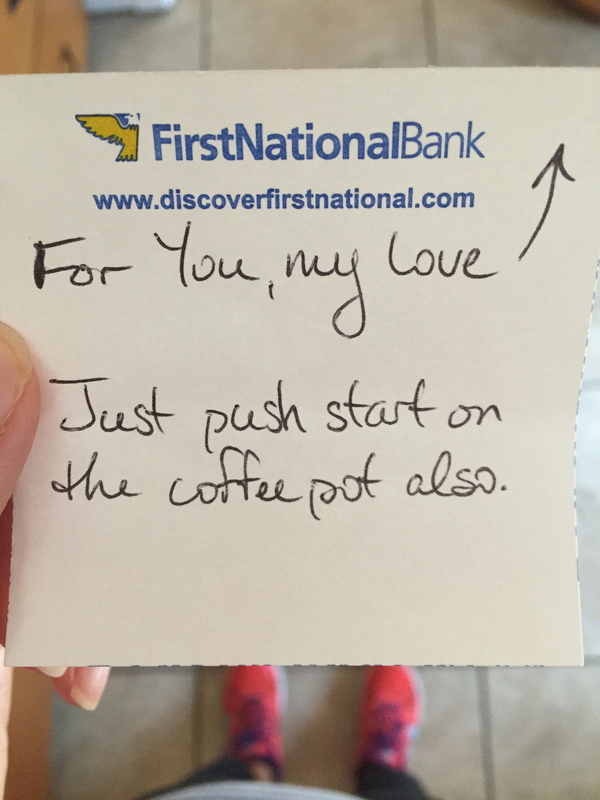 I’m not a big PSL fan either – if I have a SB gift card, I’d much rather have a white chocolate mocha. And I love that sweet note (and the doughnut that went with it!). Yay fall! Pumpkin coffee cake is also delicious! Great idea ;-). I don’t do anything but black coffee. I’ll drink it hot or cold, day or night, but don’t put any sugar or cream in it! It’s boring, but it’s what I love :-). Thanks Julie! And I’m glad to hear I’m not the only one with “ski slope belly” problems, lol. 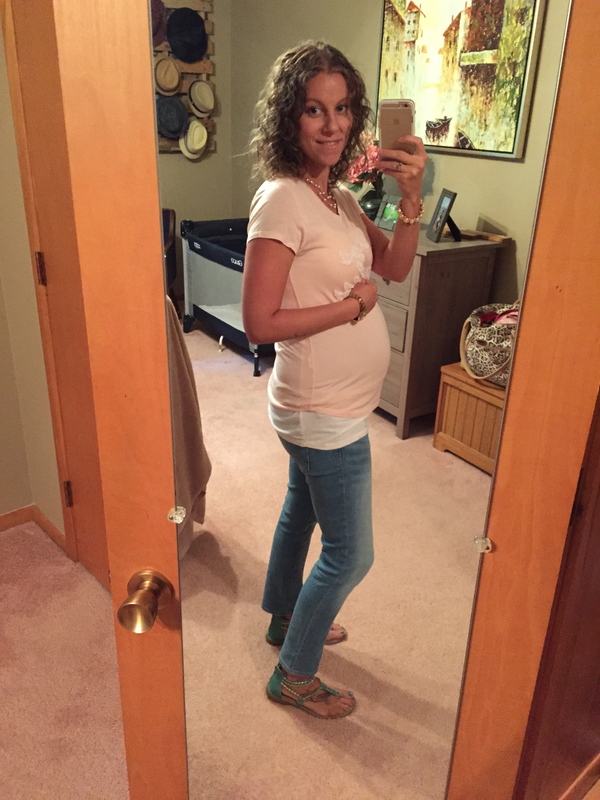 So happy for you with the Norwex produce wash! I am glad coming to my open house got you inspired to do this and now it is a new, healthy routine for you!! And to think of all the gunk we are now getting rid of off our produce- really makes me happy to have an option! I LOVE all things pumpkin- will have to try this one out – I use a lot of coconut oil too- so good! Thanks Jennifer! I hope you like the muffins :-). Here is where she got it!